ALERT Feature - RH-SPORTS Website! Disabled ALERT1 feature is disabled. Single Distance Alert In this mode a distance ALERT is shown once when the user-defined distance (in km or miles) is reached. In this mode a distance ALERT is shown every time when the user-defined distance (in km or miles) elapsed. Disabled ALERT2 feature is disabled. Heart Rate above Limit In this mode a heart rate ALERT is shown when the user-defined limit (in beats per minute) is exceeded. If such an alert is shown then you have ~30 seconds time for reduce the heart rate below the limit, else a new alert is shown again. In the PREMIUM Version of applications supporting the LAP feature (e.g. 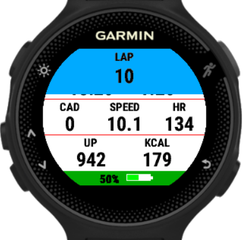 Running or Cycling App Professional) an ALERT information is shown whenever a new LAP has been started either manually or automatically. For further details, please click here.